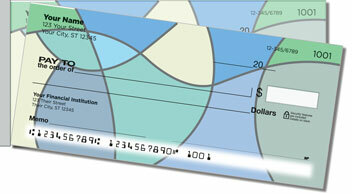 This personal check choice features an artistic design that will always be in style! From the tasteful color combinations of blues, grays and greens to the eye-catching patterns of sloping sections, these checks have a look that everybody will love. 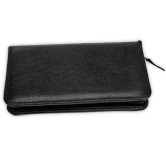 They are like the Frank Sinatra songs we all know and enjoy, the perfect pair of jeans, or a slice of pepperoni pizza. 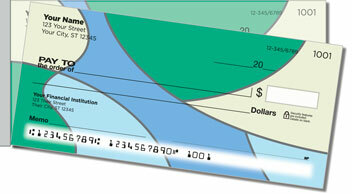 Cool Blue Curve Side Tear Checks are instant classics that will give your checkbook a much needed update. Plus, you'll be pleasantly surprised how much easier it is to pull these side-tear checks from the pad without any ripping! 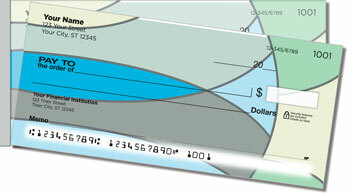 Get your own Cool Blue Curve Side Tear Checks now! 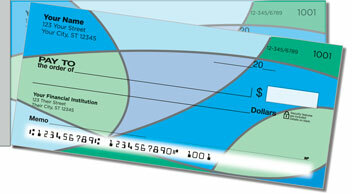 You can also order this design in matching address labels.